Crypto Power Review, SCAM Crypto Power App Is Fraud Confirmed! 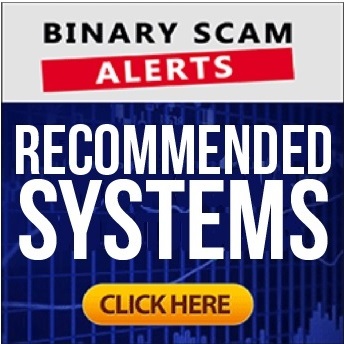 Binary Scam Alerts » Cryptocurrency Scam Reviews » Crypto Power Review, SCAM Crypto Power App Is Fraud Confirmed! The Crypto Power software (not to be confused with Crypto Code) is a SCAM trading robot and a cloned automated trading system. In our detailed Crypto Power review and investigation we blacklisted this fake app since we realized immediately that it is a Bitcoin Trader replica and rehashed get-rich-quick crypto scam. We are constantly warning our members that the popularity Bitcoin and other cryptocurrencies have been gaining provide a fertile ground for con artists wanting to peddle fake trading apps and fraudulent software systems over the internet. We also know the affiliate and media networks promoting the Crypto Power SCAM, and they are located in Kiev and Sophia Bulgaria. This should come as no surprise, as when we signed up to test the Crypto Power auto trader, we were allocated a broker named “asictrader” which prompted us to deposit using various methods. So when we selected the credit card option, we were notified that the balance reflected in our account would be in Bitcoin and NOT USD or EUR. This means that unless the broker has obtained an official license to operate under some legal jurisdiction, it is committing at least 2 financial crimes. The first is acting as an illegal currency exchange, and the second is operating as an unlicensed broker. Either way it is not clear what is happening here because “asictrader” is not equipped to operate as an arbitrage service for Bitcoin futures contracts, or as legit trading platform. In essence, you are being funneled into a rigged software environment where you money is automatically siphoned off to offshore tax havens after automatically executing losing trades. Keep reading our informative Crypto Power review to see how we exposed the crooks behind it and shed light on this dirty little operation. Here is the Crypto Power main sales page and registration area. You can clearly see that you have Jake Tapper from CNN talking about Bitcoin as the new cryptocurrency which is taking over the financial world. And right below is the same Jake with the same graphic design and registration form, talking about how “Bitcoin is Making People Rich”. Only this time it is used to promote the Bitcoin Trader software. Now here is the really scary part. When we signed up for the software we were allocated a broker which converts deposited currencies into Bitcoin and that is how you see your balance. Needless to say this is not only a flawed process, its also illegal as we previously pointed out. But the more alarming issue has to do with the fact that when we signed up we received notifications in Russian and Cyrillic letters as can be seen in the image above. This means we are dealing with an international fraud ring which defrauds opportunity seekers using bitcoin and avoiding any kind of taxes or having to account for disputed charges since bitcoin is non-refundable due to it’s decentralized nature. “Bitcoin Is Making People Rich”and you have been selected to become the next Millionaire! These are the first sentences you read when looking at the sales page. This software is being advertised as an exclusive membership reserved for opportunity-seekers willing to take risks in order to generate massive amounts of money. The producers of this cheap video claim they take trips to high-end vacation resorts and live the lifestyle of the rich and famous. All you have to do is pull out your credit card and invest the minimal amount in order to become filthy-rich like Bill Gates and Richard Branson. Laser-accurate Performance: This software boasts a 99.4% success ratio and no-risk trades. Award Winning Trading App: Fake trophies and medals are shown as if it won some type of award. This is pure nonsense and not very convincing. Superior Technology: Speed of execution gives you an edge over your competitors as the technology is super-fast. This is what is commonly referred to as a revenue share scheme. It means the promoters or affiliate marketers who SPAM your email box or provide fake reviews about this trashy system entice you to join the program. Once you pay the brokers give them that money or part of it in the form of affiliate commissions and they make their real money by getting traders to re-invest. Take a wild guess. You will need to part with at least $250, and that money will be charged to your credit card or Bitcoin account never to be returned. The brokers accepting your money are operating in an extremely illegal way and you should know that by investing you are literally throwing your money away as there is no possible way to get a refund or win any amount of money. What we are looking at here is a classic rip off scenario and a copied get-rich-quick crypto scam. We have all the tell signs and red flags present. We can see fake testimonials, inflated bank accounts, out-of-context statements, and outright lies and half-truths. Stay away! We have not seen any fake Crypto Power reviews yet, but we know that as time progresses this will change and we will surely monitor this trend. The ones to watch out for are Bitcoin Code and Bitcoin Loophole. Easy money, fool-proof systems, and guaranteed wins. If this is starting to sound familiar then you have received your fair share of SPAM emails and been lied to countless times. Our staff carefully examines each app and once it passes our screening process and produces consistent profits, we add it to our recommended section. The Crypto Power scam is a blacklisted automated crypto trading app and cloned Bitcoin Trader software. The crooks pulling the strings behind this scheme are well-known crooks which operate in the shadows with complete immunity from legal prosecution due to their uncanny ability to remain anonymous. If you have been offered access to a special secret or easy way to make a buck, then you should know that you are being targeted by these thieves and you should never deposit as your money will be stolen by professional con artists specializing in credit card fraud, identity theft, and cryptocurrency tax evasion. To recap, we are blacklisting the Crypto Power app and advising our members and viewers to seek alternative investment channels. Don’t forget to join our Facebook Group and YouTube Channel, that is where we answer your questions.